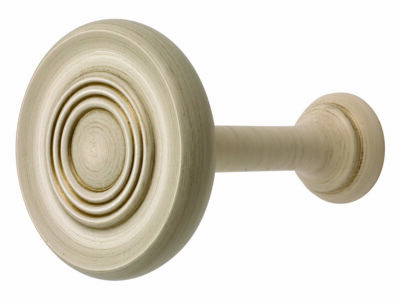 The Rolls Modern Country range of 45mm and 55mm wooden curtain poles offers a collection of hand finished poles in a choice of painted and natural washed and waxed finishes to give a range that sits beautifully in town and country homes alike. These poles are perfect for tall ceilings, large rooms or windows, and balance heavy fabrics or lined and interlined curtains beautifully. Available up to 3m as a single piece you can join 2 together offering a fantastic solution for extra wide windows and bi-fold doors. We offer a free cut to size service on this range. 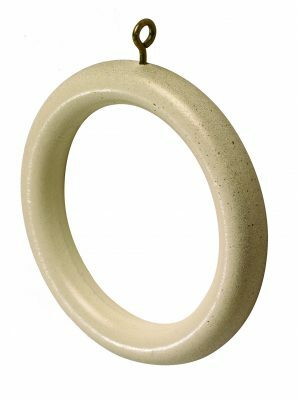 The Rolls Modern Country poles are available in a choice of 7 finishes, varying from a brushed ivory, to cream finishes, to light and dark oaks. The satin silver sits beautifully with contemporary interiors, and the gold black delivers an opulent look. 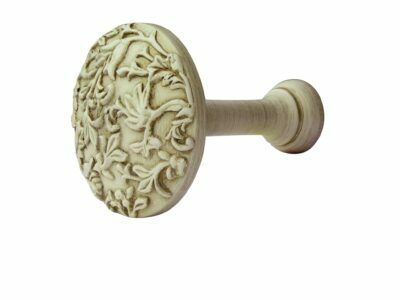 There is a choice of 5 finial styles to suit your style. As standard we supply the poles with the wooden cup style brackets as standard, however alternative bracket styles are available. Metal, architrave and recess brackets are available so please contact us on 01625 449039 or email sales@thehomeofinteriors.co.uk if you would like a quotation for an alternative bracket style. 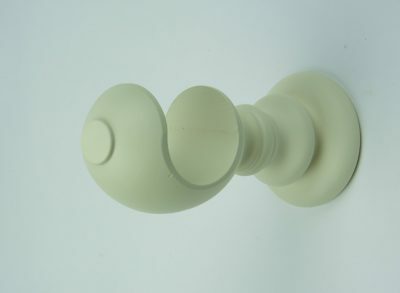 The Modern Country curtain poles are also available as a corded pole. A metal track is inserted into the underside of the pole, so that your curtains can be suspended from the gliders in the track, removing the need for curtain rings. This gives a stunning finished look with the curtain heading running much tighter to the pole. You can also have the corded track profile inserted into the pole without the cord. This offers the functionality of a corded pole with the safety of a hand drawn pole. The track profiles and brackets are available in an antique brass, chrome or polished brass finish. 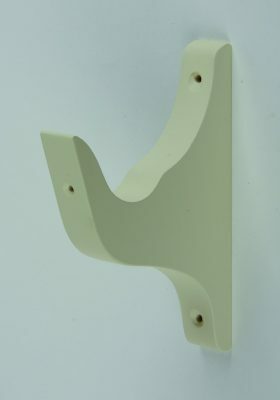 Wooden cup brackets are available up to a 210cm pole width. Over that width the pole will come with metal brackets as the pole will be supplied in 2 pieces and require a metal centre bracket. 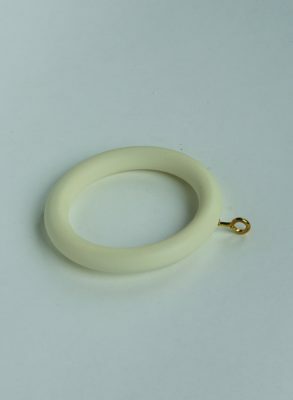 You can choose which side the cord goes on but please note poles over 210cm (in the 45mm diameter) and over 240cm (in the 55mm diameter) will be supplied in 2 pieces and therefore will have cording both sides. There is a choice of silver or gold cords. If you would like to order a corded curtain pole we will need to know the installation height (measurement from where your pole will be installed to the floor) to ensure the cord drop meets the legislation and finishes 1.5m above the ground. If the installation height isn’t know we will supply the track with a cord drop of 1m.